When two become one. Kate and Gisele are each popping up in ads for Versace. Nice. 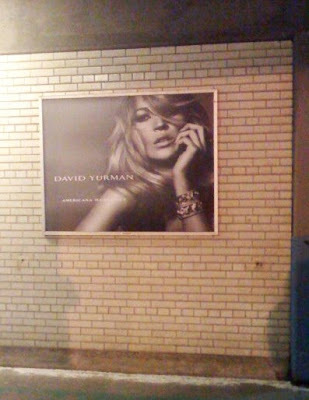 But when I saw this David Yurman ad in a train station recently, I had to wonder "Is it Kate? Is it Gisele? Is it Kasele?" So confusing.